Sometime in the “near future,” (June 13, 2029, as the interfaces will tell you) a cybernetic assault team who works for a mysterious government agency called Section 9 is hot on the trail of a hacker known as the Puppet Master. Their lead officer, Motoko Kusanagi, leads the team to chase down a garbage man who has had contact with the Puppet Master. Unfortunately after the garbage man is captured, they learn his memories have been erased. Elsewhere, a facility is hacked to produce a robotic female body, a gynoid. A consciousness is downloaded into the gynoid “shell” and it escapes the facility. When it is accidentally run down by a truck, Section 9 recovers the gynoid to learn if it contains the Puppet Master. Before they can do so, a competing agency called Section 6 storms in and takes it, explaining they had the shell made to lure the Puppet Master in. Section 6 agents load the gynoid into a car and speed away. Suspicious, Section 9 investigates, only to discover that the Puppet Master is not a person but an artificial intelligence created by Section 6 to conduct illegal activities across the internet, including “ghost-hacking” into people’s minds. Kusanagi follows the Section 6 car to a hangar, where she confronts a powerful R-3000 “spider tank” guardian. She is almost killed, but survives to face the Puppet Master via a brain-to-brain link. In conversation with the Puppet Master, Kusanagi learns that it envies human mortality and the ability to reproduce, and that it wants to merge with her to create a new being. As they begin the process, Section 6 assaults the hangar, killing most everyone inside. One of Kusanagi’s team, Batou, manages to survive, rescue Kusanagi’s severed head, and escape, later attaching the head to a new robotic body, that of a female child. 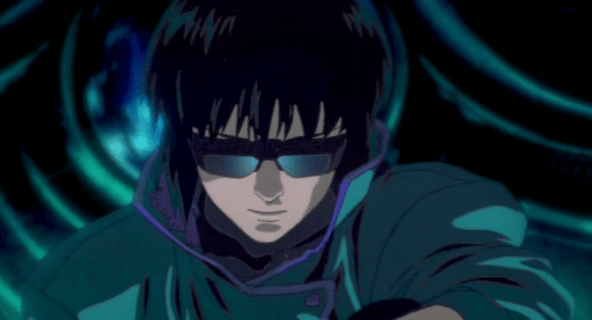 In the final scene, Kusanagi tells Batou that she has become, in fact, a blend of her former self and the Puppet Master AI. NOTE: In the book Make It So the authors had deliberately eschewed reviewing hand-drawn interfaces for reasons that are explained in the first chapter. Though a full-scale foray into anime is not yet planned, this is a first step towards branching out from live-action and 3D-animated sci-fi to include more of it here in the online database. 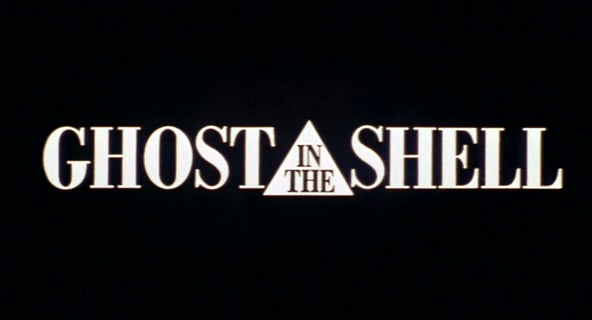 This entry was posted in Ghost in the Shell (1995), ~ Overview. Bookmark the permalink.